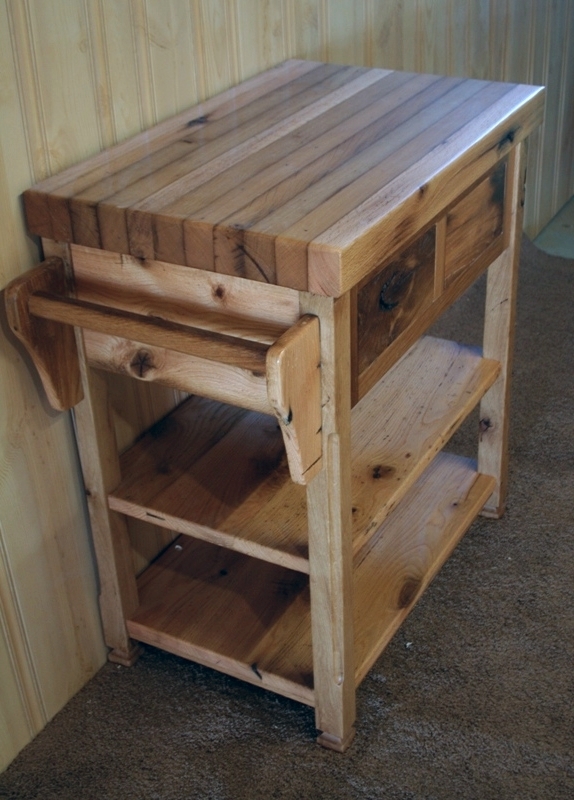 This rustic kitchen stand was planed to remove top layer and reveal the beautiful antique wood below. 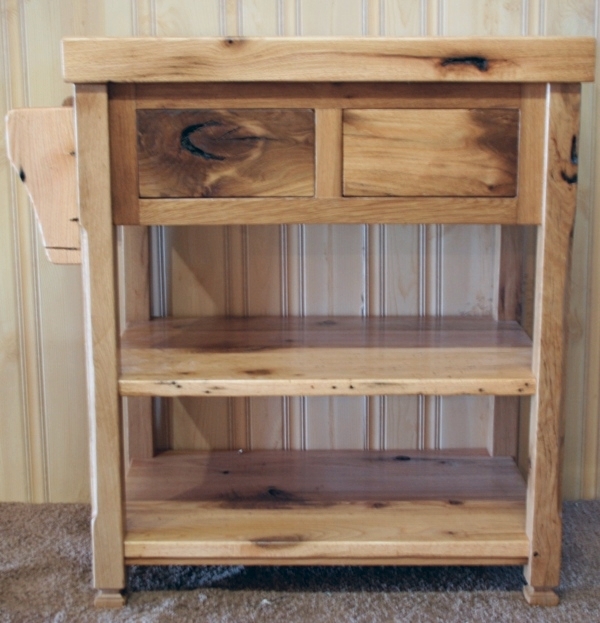 We can also make reclaimed oak pieces that are more rustic and have more patina left on them as we plane and sand them smooth but we do not remove the aged patina that they usually have. This customer wanted to see the beautiful wood under the patina in this case. 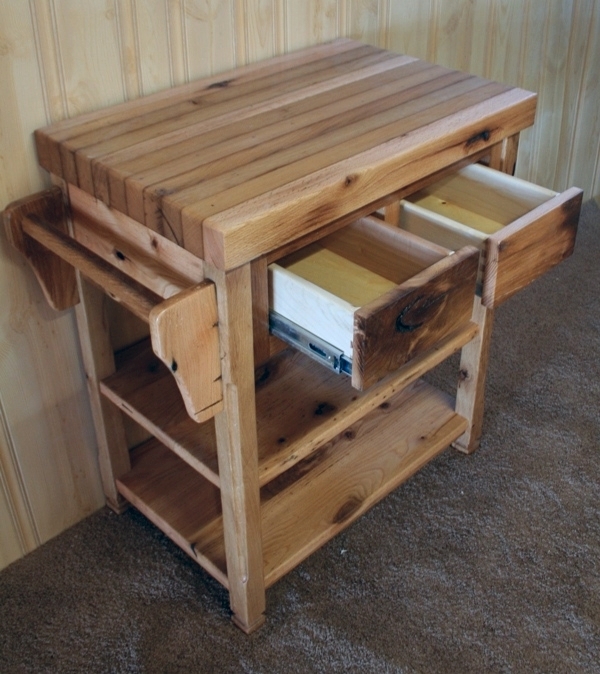 Custom orders for kitchen stands, kitchen islands and other items made from reclaimed oak are welcome! 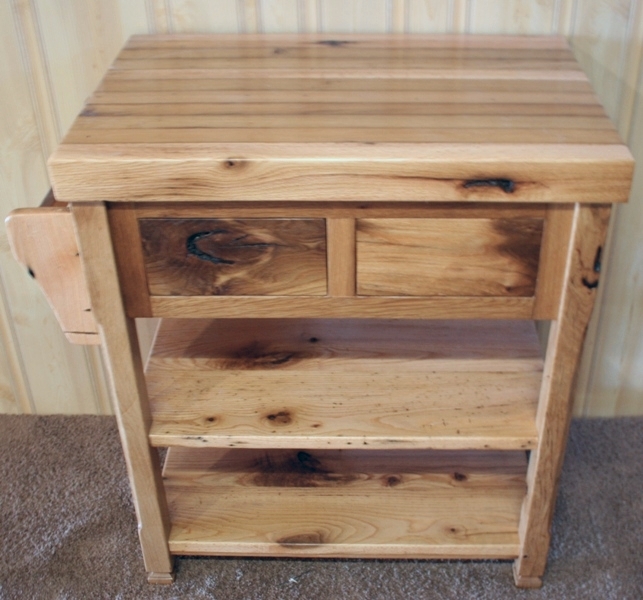 Features include two shelve, two working drawers and towel rack. Shipping on this item is FREE to most locations in the United States.